A gothic tale about Victor Hugo's long-buried secrets and the power of a love that never dies . . . In 1843, novelist Victor Hugo's beloved nineteen-year-old daughter drowned. Ten years later, still grieving, Hugo initiated hundreds of's ances from his home on the Isle of Jersey in order to reestablish contact with her. In the process, he claimed to have communed with Plato, Galileo, Shakespeare, Dante, Jesus--and even the devil himself. Hugo's transcriptions of these conversations have all been published. Recovering from a great loss, mythologist Jac L'Etoile thinks that throwing herself into work will distract her from her grief. In the hopes of uncovering a secret about the island's mysterious Celtic roots, she arrives on Jersey and is greeted by ghostly Neolithic monuments, medieval castles and hidden caves. But the man who has invited her there, a troubled soul named Theo Gaspard, hopes she'll help him discover something quite different-- transcripts of Hugo's lost conversations with someone he called the Shadow of the Sepulcher. Central to his heritage, these are the papers his grandfather died trying to find. Neither Jac nor Theo anticipate that the mystery surrounding Victor Hugo will threaten their sanity and put their very lives at stake. 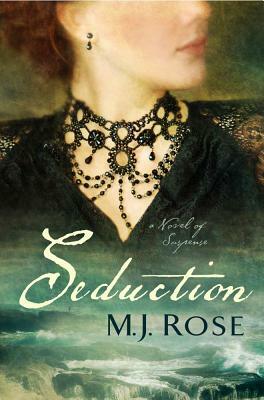 Seduction is a historically evocative and atmospheric tale of suspense with a spellbinding ghost story at its heart, written by one of America's most gifted and imaginative novelists. Awakening a mystery that spans centuries, this multilayered gothic tale brings a time, a place and a cast of desperate characters brilliantly to life. ignites your senses and leaves you aching for more." imagination and beautiful writing make this a book to savor." mystery that they will truly never forget! This deserves a standing ovation!"